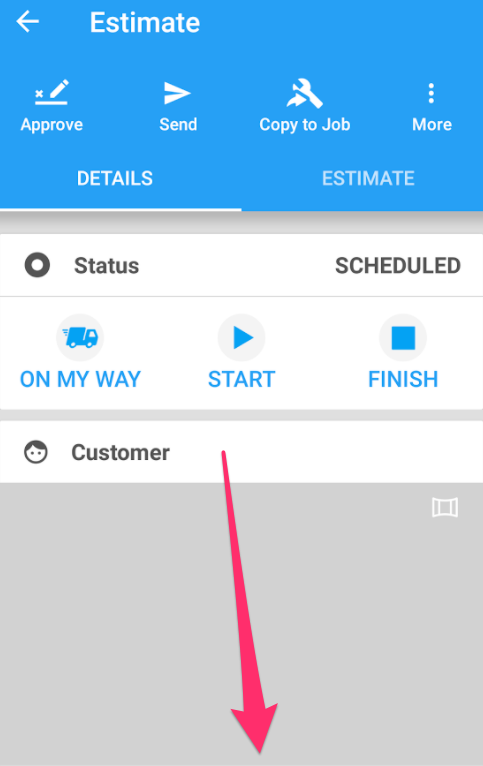 How do I create an estimate from my Android? 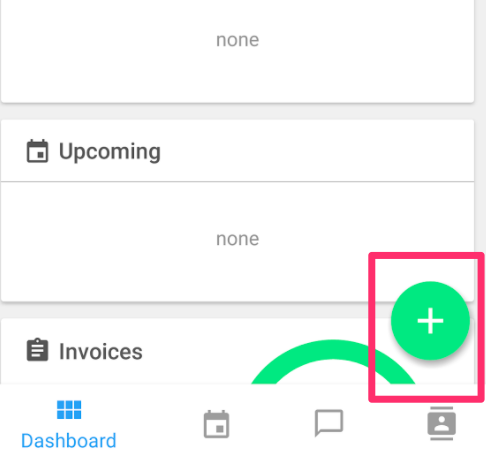 Log into your account and click the bright green '+' button near the bottom of the screen. 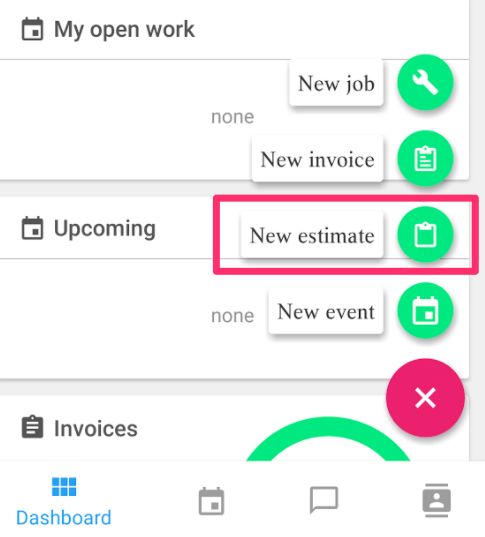 Enter in the new estimate information and click the checkmark located in the upper right hand corner. The next screen will take you to the actual estimate. From there you will be able to see all details previously entered by scrolling down. You can also view the estimate by clicking 'estimate' near the top of the screen.